So you think you’re a home theatre buff but do you really know the difference between LED TV, LCD TV and OLED TV? Didn’t think so. Neither did I. Before you go and buy a new HDTV you may want to visitHDTV Almanac and understand why LED TVs are really just LCD TVs. The MUJI CD Player is featured at the beginning of Gary Hustwit’s latest documentary film that deals with the design of manufactured objects - Objectified. It’s a wall-mounted CD player that you turn on and off by pulling on the cable that hangs out of the bottom of the player. The design is compact and functional. The audio controls are on the top of the player and the speakers are built-in to the case. As cool as this CD player is, I think the price is a little steep at $180. You can see the MUJI CD Player in action by watching the Objectified movie trailer. Every movie enthusiasts dream is to one day have an incredible home theater in their own home. As the picture and sound quality continues to improve in the realm of digital home media, there is little reason to take a trip to the local cinema anymore. Why compete with crowds and crying children when you could enjoy the movie going experience without ever having to leave your home? The only issue is, home theaters aren’t exactly cheap and in this economy investing in a home theater may seem like much more of a luxury than a necessity. That may be true, but that doesn’t mean you can’t build your own home theater on a budget. Here are a few simple steps you can take to build a great theater in your own home without breaking the bank. For starters, don’t hire a professional to design and install your home theater. If money is a factor, you could quickly burn through your budget on design plans alone. The key is simplicity. Sure a fancy wall mounted projector screen, surround sound speakers, and authentic movie theater seating would be nice, but none of these things are needed to build a great home theater. With a little creativity and ingenuity, you can design a quality theater at a fraction of the cost. The most important part of any home theater is the screen. Whether you are using a projector screen or a plasma TV, you’re going to need a place to store it. A projector screen would help you enjoy a more traditional home theater experience. Depending on the size of your room, you may want to purchase either a wall mounted screen or a portable screen. Mounting a projector screen on the wall is simple, and it will help give your theater a more professional look, while a portable screen can be easily rolled up for space saving storage. A portable screen can also be used in other rooms, if you suspect you’ll be using it in rooms other than your theater. Investing in an HD projector and screen can be rather pricey however, in most cases a pre-existing plasma TV may be a better route. Plasma TV’s are a very popular choice, as high definition TV’s have made some tremendous strides in picture clarity over the past few years. In terms of presenting your TV, you can choose to either set it on top of a modern plasma TV stand or you can have it mounted on the wall. Wall mounted plasma TV’s are the ultimate in modern entertainment and while it may look difficult, mounting a TV is a simple job. No need to hire an installer, all you need is a screw driver and a few sets of hands to help your hold the TV in place. In terms of stereo sound, if you have an amplifier and a set of speakers, it is easy to set up your own surround sound system. Speaker mounts are inexpensive and can be easily mounted to your wall. If you have the money, consider picking up some wireless speakers to help avoid bothersome wires. By positioning your speakers behind your theater seating, you will experience the greatness of surround sound, without paying a fortune for the latest sound system. You’d be surprised at the quality sound that some inexpensive speakers can offer. You don’t have to spend a fortune on expensive HDMI cable to get great picture quality with your HDTV or Blu-Ray player. I’ve mentioned before that expensive HDMI cables are a waste of money. Cheap HDMI cables are just as good as the expensive HDMI cables and don’t have a noticeable effect on picture quality. My brother was looking for some inexpensive HDMI cable and found that the discussion on redflagdeals.ca was suggesting some 12-foot cable from Zellers of all places. You’ll have to go to an actual Zellers store because their website is like a ghost town with very little inventory. Did a comparison with the ThunderCable brand that I paid $45 for last month (and that is only 6’) and couldn’t tell the difference. I’ve gone through a lot of home theatre forums and talked to quite a few people about expensive vs. cheap HDMI cable and nobody has ever complained about picture quality. Future Shop is having a 2 day sale (Dec 16-17) that includes the Sony BDP-S350 Blu-ray player for $229.99. 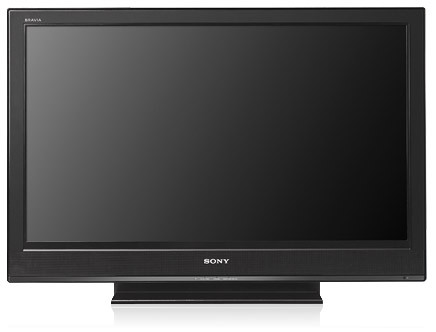 I picked up the Sony BDP-S350 at Future Shop for $249.99 when it was on sale about a month ago. The normal price is $269.99 at Best Buy and Blockbuster Video. To sweeten the deal you get 3 Blu-ray movies (Kingdom of Heaven, I Robot, Devil Wears Prada). If you’re looking to put a Blu-ray player under the tree this year for a great deal, then you’d better hurry. Sale ends tomorrow. 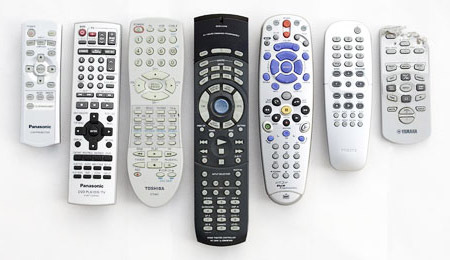 Tis the season and this year a lot of people will be purchasing their first HDTV or Blu-ray player. Most people don’t plan ahead and consider what kind of cables they should get. HDMI or component? Do you need 3 metres (10 feet) or 5 metres (16.5 feet)? Most people walk in to Best Buy, purchase a 40” HDTV and watch as the salesperson rubs their hands together and explains how they need HDMI cables for the best picture quality. You wouldn’t pay $3,000 for an Denon receiver and hook up some crappy $20 speakers would you? Of course not! Do not purchase the Monster cable no matter what the sales person tells you! Do yourself a favour and do your homework. Figure out how much cable you need for your home theatre setup before your purchase your HDTV or Blu-ray player. Buy the cheapest HDMI cable you can find and spend the money you saved on some Blu-ray movies instead. If you’re a regular reader of this blog then you know that I’m not a huge fan of over-priced Monster cable. So how over-priced are Monster cables? A member of the Audioholics Home Theater Forum conducted an interesting blindfolded listening test. A CD was listened to using Monster Cable and again with coat hanger wire. The joke is that none of the audiophiles participating in this test could tell the difference in the sound quality between the two cables used. According to Google, the monster cables vs coat hangers test isn’t a new one but I find it amusing. Unfortunately Monster Cable Products, Inc. has a great marketing department and a lot of people believe the hype they sell. Netflix put another nail in the HD DVD coffin by announcing exclusive support for Blu-ray high-definition DVDs. They’re going to phase out their inventory of HD DVD discs by the end of the year. Blockbuster decided back in June of 2007 to only stock Blu-ray discs. I wonder when Zip.ca will jump on teh bandwagon and make an announcement? HDMI Monster cables are a ripoff. In fact, most HDMI cable that you see at Best Buy or Radioshack is over-priced. The Consumerist blogged about 80% markups on Monster cable after they saw an inventory list from Radioshack. The inventory list apparently shows that Monster Cable has incredibly high markup pricing (based on the difference of wholesale and retail pricing shown on the list). Many online retailers sell quality HDMI cable that costs much less than Monster Cable. I use Blue Jeans Cable which is way cheaper than anything Monster sells and it is just as good. It never pays to buy a Monster cable first. It doesn’t even make sense to buy the “marked down” $50 cable you can buy if you don’t want Monster. Go online, order your cables, and wait. I completely agree with Gizmodo but what happens when you purchase a brand new HD LCD television or Blu-Ray DVD player from Best Buy? How many people really plan ahead and order their cable online and save bundles of money? I did. When I purchased a HD projector I saved hundreds of dollars by purchasing my HDMI and component cables from Blue Jeans Cable. When I purchased a Sony Bravia HD LCD television I paid a premium for the HDMI cable that was slightly cheaper than Monster Cable called Rocketfish HDMI cable. I wanted to watch the new TV as soon as I got it home so I was forced to purchase Best Buy’s, Poor Buy, over-priced HDMI cable. They know most people need HDMI cable or component video cable when they purchase a high-definition TV or DVD player. They also know that most people don’t plan ahead and purchase their cables online so they stock the most expensive, highest margin cable they can find — Monster Cable. I never heard of Rocketfish but I can guarantee that Best Buy and whoever sells their products is marking it up by 50-80%. If you can plan ahead, purchase your HDMI cable online. Another good online retailer that Gizmodo recommends is MonoPrice.com in California. If you’re planning a home theatre or looking to upgrade your old television to a high-definition LCD or plasma set then figure out how much cable you need now and order it online. If you purchased standard RCA audio video cables to hook up to your new high-definition TV then you have no right purchasing anything with the words high-definition before it. If you purchased S-video cable for a better quality picture then read my previous sentence again. You might be wondering if you should get HDMI or component video cable for your new television. Now we’re talking! You want to read an earlier blog entry where I talk about HDMI vs Component Video cable. How long will the Blu-ray disc format last? In 2002 I blogged about DVDs outselling videocasettes for the first time. In the past six years the standard DVD format has peaked and is in serious decline. Up next is the Blu-ray Disc format but how long will it last? Videocasettes dominated home video for over 20 years. DVDs were the preferred home video format for just over 6 years. How long will the Blue-ray disc format last? I’ve invested a lot of money in the standard DVD format and have a great collection of films. I doubt that I’ll upgrade many of these discs to Blu-ray. I think that would be a complete waste of money. Thankfully, Blu-ray players are compatible with standard DVD. The next 10 years should be interesting in terms of the digital distribution of film. A lot of people think that Blu-ray will be the last disc format. In the future, movies might be sold on flash media or via the web. I like being able to own a physical disc with liner notes. Having my entire film library on a server seems too risky. I think it will take another generation or two for people to get comfortable with the idea of having all of their digital data on a server or flash memory devices. For now, I just hope that Blu-ray lasts for more than 6 years before it becomes obsolete. The Digital Bits is reporting that Paramount and Unviersal are moving toward Blu-ray soon. Universal may not make an announcement until February (their contract period with HD-DVD expires the end of January). This pie chart from Wikipedia helps to put the Blu-ray vs HD DVD format war into perspective. With Warner putting their support behind Blu-ray, I’d say that HD DVD’s days are numbered if not over. I wonder if HD DVD manufacturers like Toshiba knew Warner Bros. was bailing on HD DVD? It would explain the recent price cut on HD DVD players — sell off as many players as possible during the busiest shopping season without looking desperate. We’ll probably see further price cuts on HD DVD players before they become boat anchors. Was it a coincidence that Warner Bros. held off on their announcement to support Blu-ray until after the busy holiday season? Was it a nice gesture to the HD DVD camp before they pull the plug? You bet. I feel sorry for the early adopters that went for the cheaper disc player. I wonder if Apple will finally announce support for Blu-ray discs at the upcoming Macworld? Maybe one of their new computer models will ship with Blu-ray support. I’ve been looking for a cheap DVD player that handles DivX for all of the TV shows I download and that can playback PAL DVDs. I used to have a Philips DVP-642 DVD player until the tray became jammed. When the public library called for an overdue copy of Zathura I unplugged the broken DVP-642 and gave it a shake. Yup! Something was loose inside. I undid several screws, peeled back the sheet metal and found the missing DVD. Then I went to my son’s room and yelled at him for 5 minutes. A year later, I’m in need of a DVD player that can play my DivX TV shows. Converting the shows into DVDs with Visual Hub just takes too long. The Philips DVP-5140 looks like a good update to the DVP-642. I can get one at Best Buy for $46.00 CAD which is much less than what I paid for the DVP-642. and it runs much quieter. I’m also looking at the possibility of getting the Philips DVP-5982 for $76.49 CAD. It has an HDMI input, a USB port and it up-converts the signal to take advantage of HDTV displays. Other than that it seems to very similar to the DVP-5140. Hmm. I just read a comment on Videohelp.com about the Phillips DVP-5982. I recently bought two Sony Bravia HDTVs and decided to go with this upconverting Philips model until I see how the HD-DVD/Blu-Ray war plays out. I have been astonished by the fidelity and quality of the image of regular DVDs played through this unit! Although my Bravia’s only support 1080i (and not 1080p) I am still amazed by the detail this unit seems to tweak out of SD DVDs. Having recently purchased a Sony Bravia HDTV with 1080i support this might be the DVD player to get. The region-free hack for this unit is also available at videohelp.com and enables playback of PAL discs. Does anyone have any experience or opinions on the Philips DVP-5140 or DVP-5982? With my home theatre in a shambles and my satellite dish disconnected since May, I’ve been watching TV and movies on my 23” Apple Cinema display. For me, BitTorrent has been the only way to catch up on Heroes and House. Last week, the brother-in-law gave us a very generous house-warming gift — 40” Sony BRAVIAÂ® LCD HDTV (Model Number: KDL-40S3000). It looks fabulous in our new living room. Now I just have to get my dish reconnected so that I can watch some football or hockey in HD. I have to say that Sony’s Xross Media Bar on-screen menu system is the nicest I’ve seen in a television set. No wonder it won an Emmy. The graphic user interface is beautiful. The animation is fluid and the graphics are very slick. I found myself playing around with the menus just to see them animate. The 10-bit processing and 10-bit display is supposed to provide better colour reproduction with HD content. I haven’t had a chance to test this yet but it’s nice to know that it has that capability. The LightSensorâ„¢ is another interesting option that “intelligently adjusts screen brightness to match the ambient light in a room” — no need to adjust the brightness/contrast during the afternoon and evening. Another option called S-Forceâ„¢ Front Surround provides better sounding audio from the two front speakers. It’s by no means a replacement for a proper surround sound installation but if you don’t want to make your living room into a home theatre, then it’s a nice feature. Lastly, this model has had nothing but favourable reviews on various websites. I hope I have better luck with this Sony product than the last one I purchased. I’ve been considering an LCD TV for the livingroom when our home renovation is completed (if I have any money left). This wouldn’t replace the projection screen in the home theatre, it would be a second TV for the upstairs. I just read The Trouble With LCD TVs: Motion Blur and the 120Hz Solution on Gizmodo and now I’m wondering if I should be looking at a plasma screen instead. Any advice from people with LCD screens? I’m looking at a 30 inch display for HD content. I came across the Home Theater Blog this morning (via Digg) which I found really interesting. There is a good article on Bose speakers and why they aren’t necessarily the best speakers on the market. The content on this site is updated frequently and full of useful information. If you’re a home theatre enthusiast then you’ll want to bookmark Home Theatre Blog. Best Buy has the Philips DVP-642 DVD player on sale for $74.99 (CDN) so I picked one up yesterday. I already have a good quality DVD player in the Panasonic S97S that works fine so why get another player? Aside from the sale price, the Philips DVP-642 has excellent support for DivX playback and it is a region-free player. I have several documentary films in DivX that aren’t available yet on DVD or haven’t had a theatrical release. Watching them on a computer screen is a drag and not as comfortable as watching in a home theatre. The Philips DVP-642 will also play DVDs encoded for PAL quite easily. One of my favourite photographers, Charlie Waite, did a television series for Grampian TV in Scotland. The series is called Seeing Scotland and is now available on DVD (PAL). If you’re looking for a cheap DivX DVD player then you can’t go wrong with the Philips DVP-642. The LG LDA-530 is another good DivX player as well. There are also several hacks for the Philips DVP-642 at videohelp.com that you’ll want to check out if you own this player. There won’t be many DVD reviews here in the next little while. My Panasonic HD projector decided to go on strike after 1500 hours. The bulb seems fine but it keeps powering down after a few minutes. This is a major drag as the holidays approach. I guess I’ll have to spend more meaningful time with the family, read some books and take a lot of photos. Life is harsh. Why a new DVD player you ask? The S97 is one of the first on the market to offer HD (high-definiton) picture quality using an HDMI cable. With the HD projector I have, this means that I can get 1,080 lines of resolution. Right now my Pioneer DVD player is putting out 480 lines of resolution and the funny thing is that I’m already impresssed with the picture quality. I’m looking forward to seeing how much better the picture quality is using the HDMI cable. The Panasonic site has this to say about the higher resolution using HDMI and DCDi (Directional Correlation Deinterlacing by FAROUDJA). When the DVD-S97 is connected to an HDMI-compatible monitor, DVD images can be upconverted to 720p or 1080i for output. The converted images have much higher resolution than the 480p images of conventional component output. You get beautiful, high-resolution theatre perfect images for today’s large-screen HD plasma display panels, LCDs and LCD projectectors. The difficult part in acquiring this DVD player wasn’t price or availability. I managed to get once at cost like my projector (thanks Neal). The difficult part is trying to convince your wife that you need 1,080 lines of resolution, that the two year old DVD player you have is completely inferior in terms of picture quality. Fortunately I have a wife that works in television with a bunch of guys that are very impressed with our new h-tech toys. Stephen Dawson in Australia has a great blog for home theatre junkies. His article on setting up your home theatre receiver may shed some more light on using a Sound Level Meter (from Radioshack) to calibrate your receiver. Audioholics.com has a decent guide to placing the speakers in your home theatre. My speakers are direct radiating and probably best if they are closer to the ceiling and toward the rear of the room. If you have a 6.1 receiver then you’ll want to have dipole speakers that are closer to ear level (on the side walls) and toward the rear of your theatre. A lot of this will come down to personal preference, your receiver and the size/shape of your room. I can think of a few people that should read this guide and position their speakers properly for better sound imaging. I finally received my Panasonic PT-AE700 high definition projector last night. I was up until 1:30 AM setting it up and the wait has been well worth it. I’m projecting onto an 88” Carada screen and I was completely blown away. Watching DVDs on a 27” Panasonic GAOO TV just doesn’t compare. In fact, I sold my TV to a friend yesterday. I watched a little bit of Monsters Inc. (2001) last night and was amazed at the level of detail in the picture. In my opinion, a lot of these minute details enhance the viewing experience, make it more believable and help to immerse you in a film. You just have to experience what I’m talking about. My extra long component video and HDMI cables just arrived from Blue Jeans Cable in Seattle, WA. Canada Post generously helped themselves to GST and PST. Despite this it was still much cheaper to purchase these 20 foot cables from the US. Thanks to Neal for getting an awesome deal on the Panasonic projectors. I’ll be in my basement, er, I mean home theatre for the rest of the week rewiring my speakers and catching up on my backlog of DVDs. David Pogue has a new blog at The New York Times called Pogue’s Posts. He rips 60 Minutes for their shoddy reporting on a recent story about a 12-year-old musical genius. There is also a great post about LCD vs Plasma televisions that my dad sent to me last week. Pogue’s advice—don’t buy a plasma screen. The home theatre plans are rolling along. I just ordered an 84-inch projection screen from Carada. I don’t know how they got their name but I always want to say Canada when I see it. I’ve done a lot of research around projection screens lately and Carada has some great reviews. AV Science Forum is an excellent resource if you want to know more about home theatre. Once I set up the screen I’ll be reconfiguring the home theatre area—some of the larger IKEA furniture will be sold off or moved to make room for smaller, more efficient furniture. For example, where do you hide a DVD collection? You get a couple of BENNO CD towers from IKEA. They have a small footprint and each one holds 88 DVDs. Next on my list is the projector. The Panasonic PT-AE700 is just starting to ship and is supposed to be better than the PT-AE500 in a number of ways. There is a new review of this projector at Projector Central. I just hope that I can order one. There is plenty of buzz around this model and a lot of people have been pre-ordering them. My worry is that they will be sold out of the first shipment. BTW, if any of you have a SONY DVP-360 DVD player, get an extended warranty now or face the consequences. This model is a warranty timebomb. There have been numerous complaints over at audioreview.com, mine included. On Christmas eve, 18 months after I purchased it, the player died. The first signs of trouble were the occasional C 13:00 errors that would require the player be turned on and off. Then the player started giving me NO DISC errors. Sony has ignored the complaints of everyone who purchased this lemon. This has many people in the US crying, “class action suit.” I can only hope. Luckily for me I used my trusty Royal Bank Gold VISA card which doubles the 1 year warranty to 2 years. I’ve filed a claim to Royal Bank who said they will reimburse me for any repairs. Sony hasn’t heard the last of me though. I’m off to Ottawa for a couple of days. More updates will follow on the weekend and then I think I’ll start promoting the site.